MINNEAPOLIS, MN (November 29, 2018) – Target Center announced today the arena will host a pancake breakfast in the venue’s skyway to benefit The Salvation Army’s Warm Hands, Warm Hearts initiative – a program aimed at providing cold weather apparel to those in need. Free breakfast will be served from 6:30-9:30am tomorrow, Friday, November 30 in Target Center’s public skyway, located at 600 North First Avenue in downtown Minneapolis. Guests are encouraged to make a cash donation (credit cards are accepted) or bring new/gently used winter clothing items to benefit the neighboring residents at The Salvation Army Harbor Light Center down the street from the arena. Breakfast will include coffee, pancakes and sausage, and guests can either stay and eat or take their food to-go. 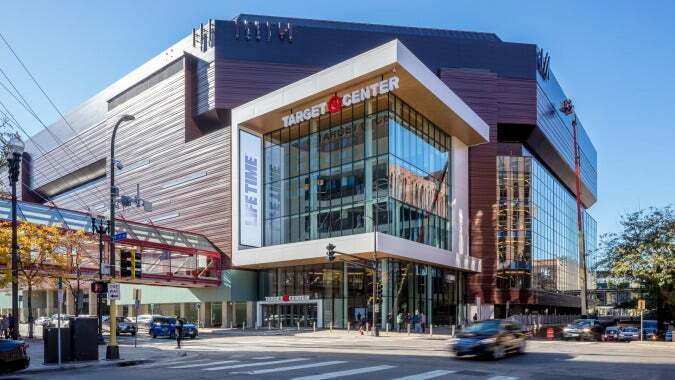 “We are pleased to partner with The Salvation Army for this important initiative, and are thrilled to host an event that can have such a positive impact in our immediate community,” said Hugh Lombardi, Regional Vice President for AEG Facilities and General Manager of Target Center. The Harbor Light Center, at 1010 Currie Avenue in Minneapolis, is a safe place for people to stabilize their lives and begin the process of healing. We offer a wide range of basic needs to anyone without discrimination. As Minnesota’s largest homeless adult outreach facility, we meet people at their greatest point of need to inspire hope, instill belief in possibilities, and impart opportunities for a fresh start. To learn more, visit salvationarmynorth.org.